Need a gift idea for Grandma and Grandpa? How about a set of personalized placemats and some new dishtowels and dishcloths? 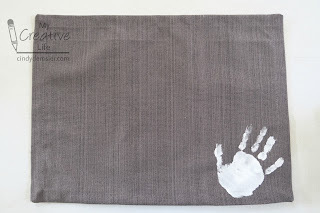 Spread newspaper on your work surface, then spread one placemat on top of it. 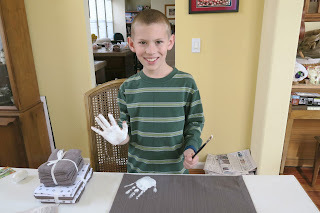 Use the paintbrush to coat your right hand evenly with white fabric paint. Press your hand firmly on the bottom right hand corner. Repeat the steps for the second placemat. Let the paint dry completely. 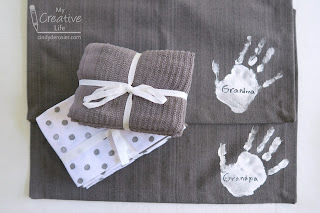 Use a Sharpie to write Grandma on one handprint and Grandpa on the other. 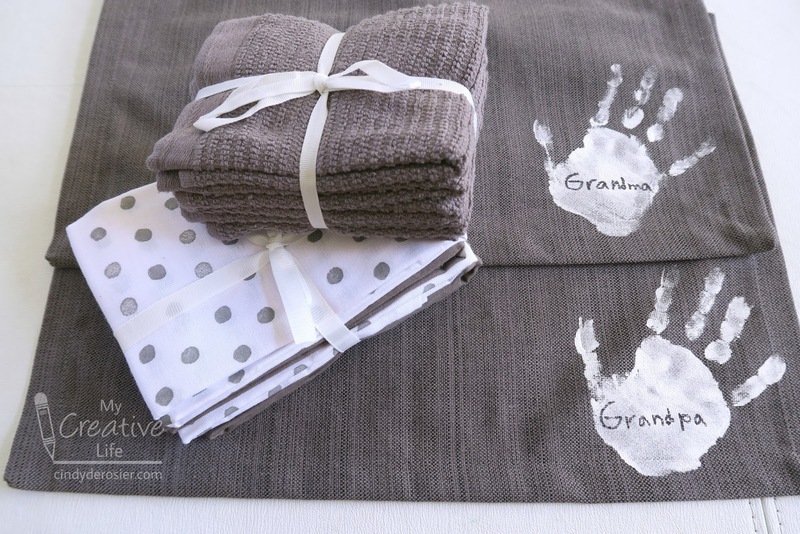 Bundle them up with coordinating dishcloths and dishtowels for a gift they're sure to love. Please consider making purchases through my Amazon links for these or other products. It doesn't cost you anything extra, and I get a small commission from the sale. Thanks for supporting My Creative Life. What an awesome idea! I loveeeeeeeeeeeeee this!!!!!!!!!!!!!!!!!!!! Hi Cindy! Wow! What a wonderful and creative gift idea! And so personal, too. I bed they absolutely love this awesome gift!